Categories and tags are major parts of a WordPress post. We use them to divert readers to a particular subject. For instance, we combine all social media related posts under the category of Social Media and divide them with tags like Facebook, Twitter, LinkedIn etc. So social media enthusiasts can easily locate the content in which they are interested in. If they want to dig further on their favorite network, will make use of the tags. Suddenly you may feel that network names as the primary category can divert more traffic than the tags. It will help the users to identify their favorite topics directly from the menu bar. How can you convert tags to categories or vice versa, at a later time? WordPress gives inbuilt option to do this. 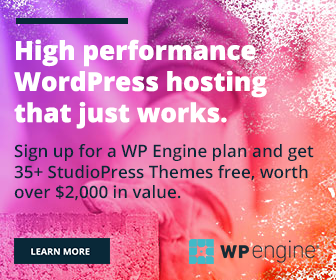 Visit Tools in your WordPress dashboard and Available tools from there. You will see ‘Categories and Tags Converter’ at the bottom of the page. Once clicked, it will bring you to a new page where all tools for a WordPress site will be listed. Install and run the third tool in the list. It should show plugin options with all categories, tags on the site. 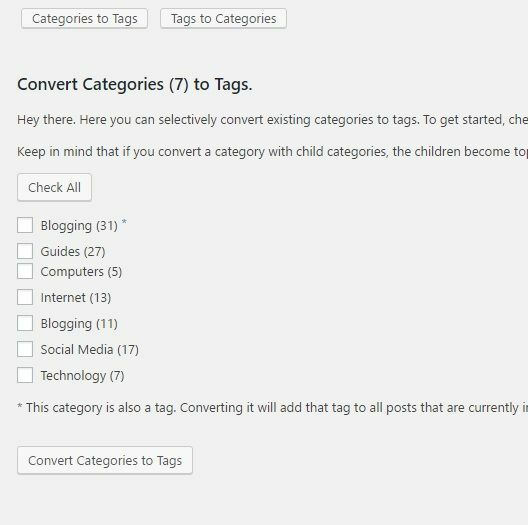 Switch in between Categories to Tags or Tags to Categories tabs according to your requirement. Select main, child categories or tags you wish to be converted. Finally, tap Convert button at the bottom. That’s all. Conversion is finished and you need not take any further action on that. You are free to remove the plugin now.